The 200 kms of the Almeria Coastline made a great route for a Summer road trip. Driving from Adra right up to San Juan de los Terreros we saw some great scenery along the way. Stretching between the provinces of Granada and Murcia, this corner of Spain has plentiful sunshine most of the year. 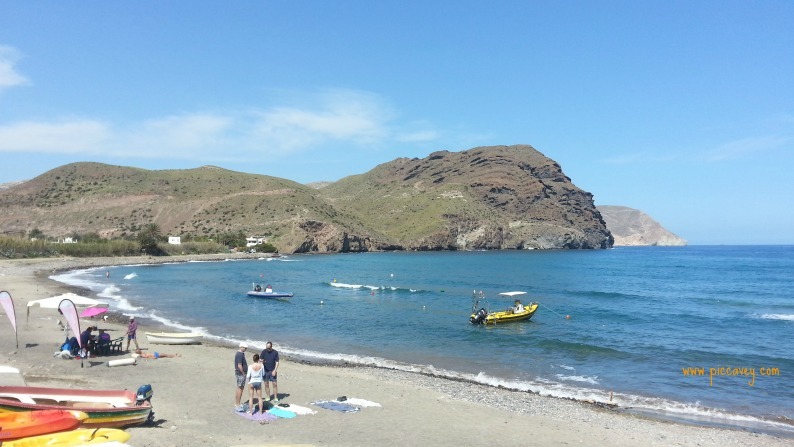 There are lots of beaches and quaint villages along the Costa de Almeria. This region of Andalusia is not as well known as the other western provinces but for me that is the charm. Of course Almeria province has been the set for many movies and TV shows over the last 50 years. Our route began at the edge of Granada province and as we drove we decided where to stop off and where to drive through. After a quick stop at Almerimar for drinks, we decided to continue on to Roquetas de Mar. We spent a morning at the Aquarium at Roquetas de Mar. Gaze at the piranas and other tropical fish such as ´Nemo´ or clownfish, which will thrill Disney fans. Once a day the divers drop down into the large pool to feeding the sharks in the aquarium. 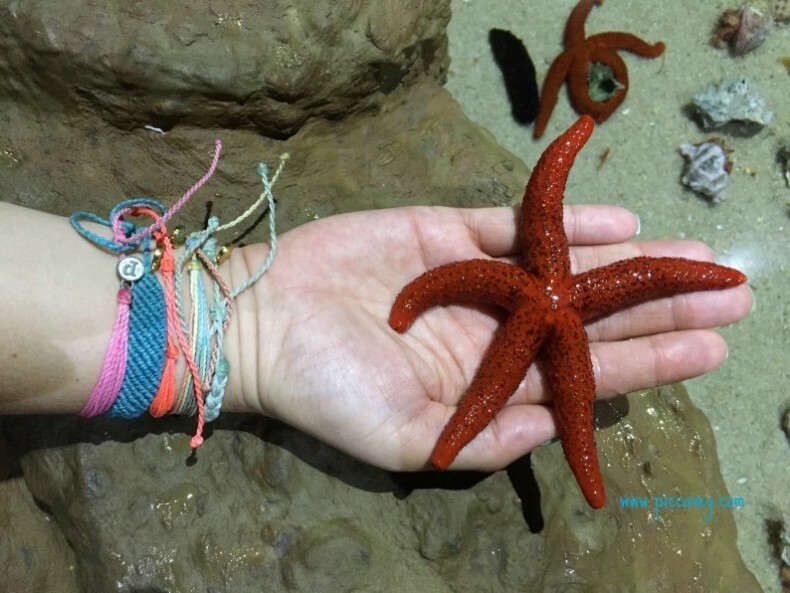 A more hands on section of the Visit is towards then end where visitors can gently touch the manta rays and even hold starfish and hermit crabs. This is an interesting activity for children of all ages and will take no longer than 2 hours to visit. The Capital city of the province, Almeria is always a place I like to visit. It has good shopping streets and tree-lined avenues. There are also plenty of great places to eat out too. Our acommodation was on the main street. This was a much cheaper option than coastal resorts in summer and more practical especially for eating out in the evenings. 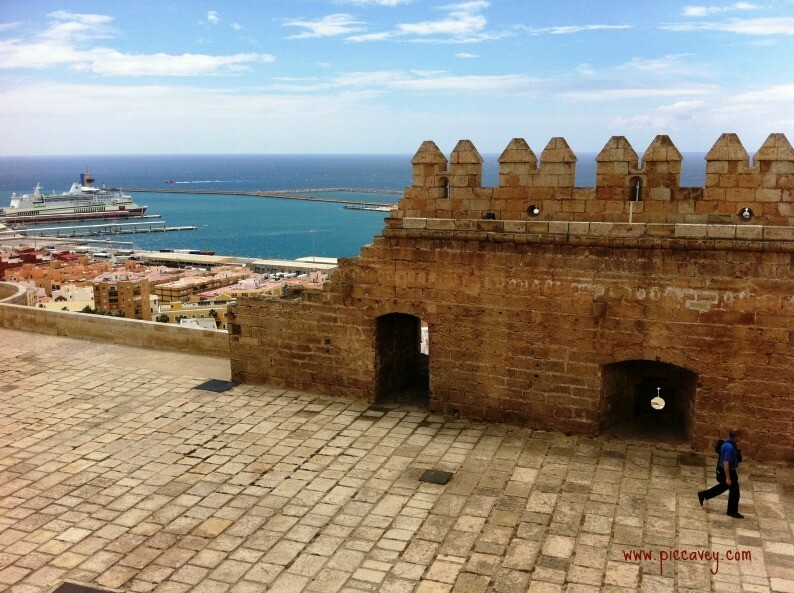 In Almeria the grand Alcazaba Fortress overlooks the city and is a must see monument. It´s free to go in and has great views over the port and city. It´s so spectacular it´s even being featured in Game of thrones Series 6. Another interesting monument is the structure that lies at the foot of the Paseo de Almeria. This loading platform moved minerals onto cargo ships in the 19th century, from local mines in the region. Built by Gustave Eiffel this interesting monument is lit up at night, reminding us of the industrial past of the region. Known as el Cargadero Mineral in Spanish. 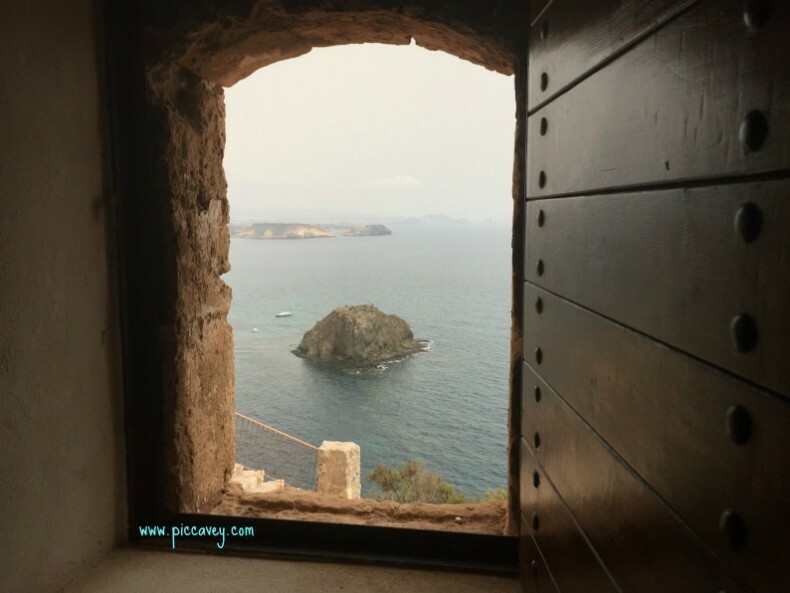 Driving around Cabo de Gata Natural Park takes you back in time. 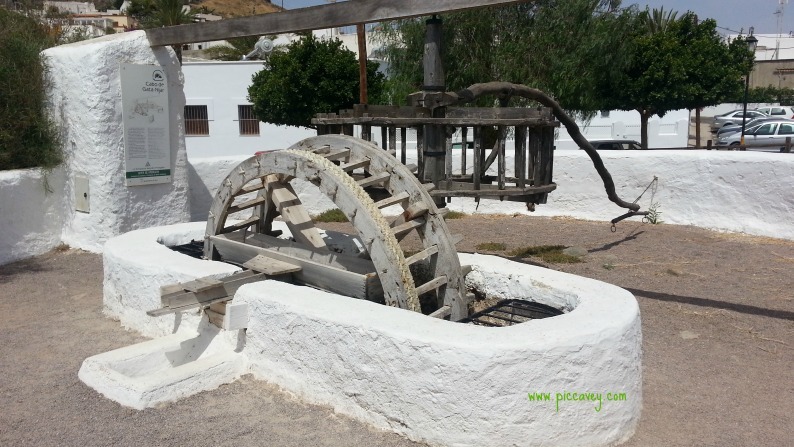 The route includes old Windmills, water cisterns and Arab waterwheels made from wood. 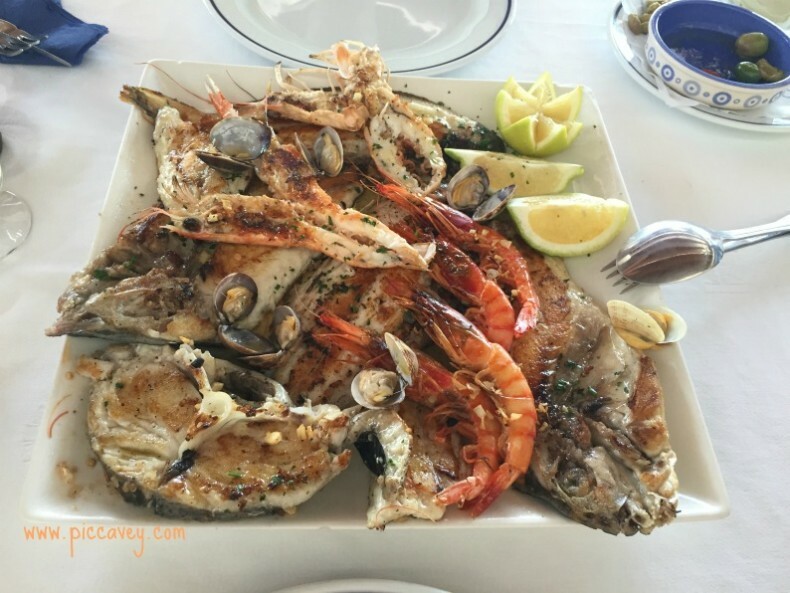 You´ll also see several fishing villages such as Isleta del Moro or Las Negras where you can taste fresh seafood. Some viewpoints along the coast are breath taking. Mirador de la Amatista or Mirador de las Sirenas are a few highlights. There are also Fortresses and defense towers along the coastline, these would have helped to ward off pirate attacks, which threatened this area in the past. Enjoy a Wild West experience in the small village of Los Albaricoques. This village was used to film several western films in the 60´s. The Alba restaurant at the entrance of Los Albaricoques serves a great daily menu. The interior is covered with photos, and props used in those films. 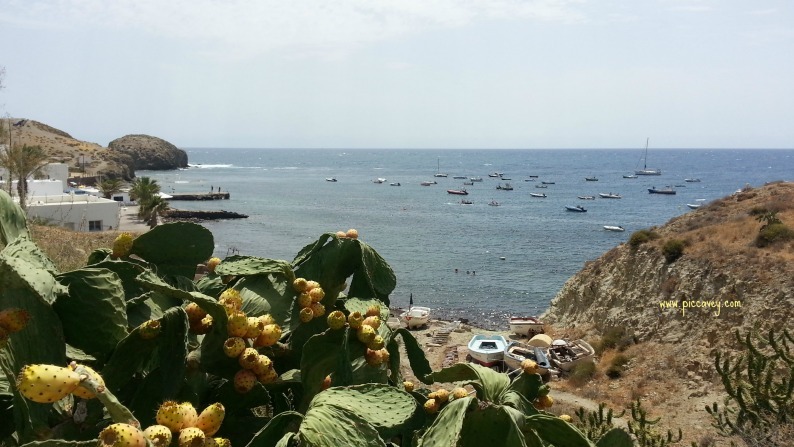 As we drove along through Cabo de Gata, we headed up to Mojacar. A white village perched high above the coast. A quaint location with squares and viewpoints over the coast. Looking out over Mojacar beach and the surrounding countryside is impressive from up there. Some of the typical streets are cobbled and have historic arab style gates. The Plaza Parterre is quiet spot to have a drink and contemplate the historic setting and colourful plants. It´s worth visiting and has also been listed as one of the prettiest villages in Spain. You´ll also see brightly coloured rugs called Jarapas, Nijar has a tradition for this craft. Gourmet fans will love the local olive oil and locally made pastries. 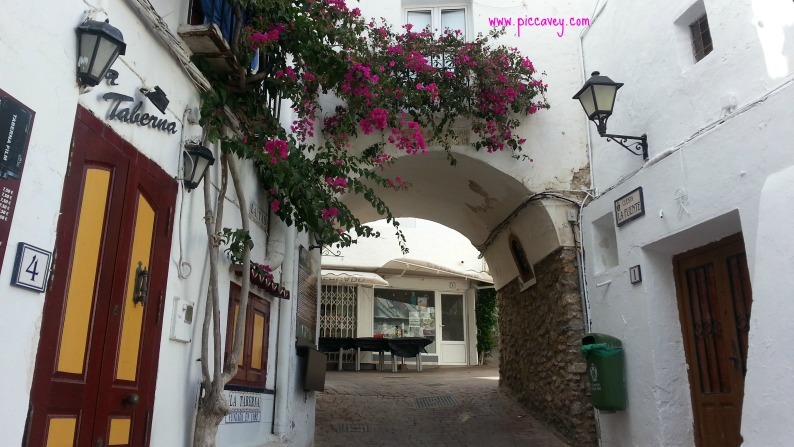 As we reach the edge of the province, we drive from Mojacar up to San Juan de los Terreros. This quaint fishing village has a castle above it with beautiful views. Some of the beaches in this smaller resort are lovely. It´s not as built up as Vera or Mojacar beach but a lovely place to enjoy a few days in the sunshine. Inside the castle was an installation with 3D glasses to visit the Geoda of El Pulpi, a giant gypsum crystal which was interesting to see. As the nearby mine can´t be visited by the public this workaround allows people to learn more about the world class Gran Pulpi Geoda which is just a few kilometres away. The post Almeria Coast Road Trip – My Costa de Almeria guide appeared first on Piccavey.